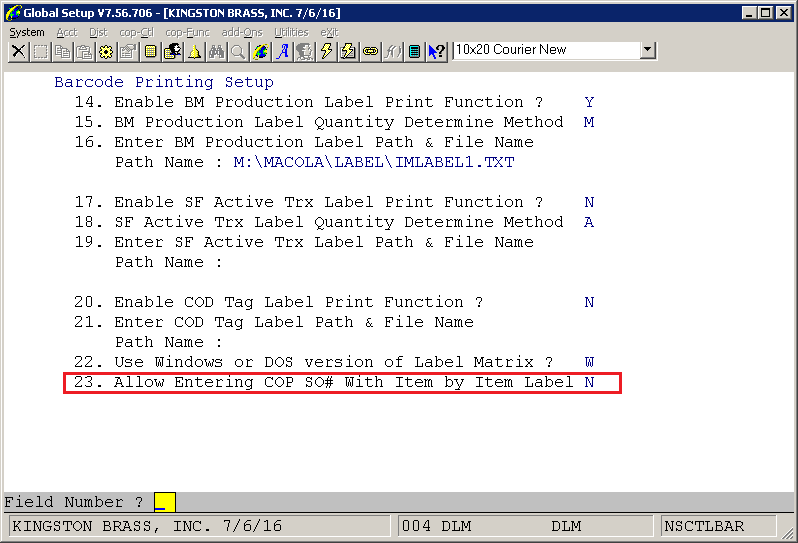 1) If Barcode Printing Setup, Line "23. 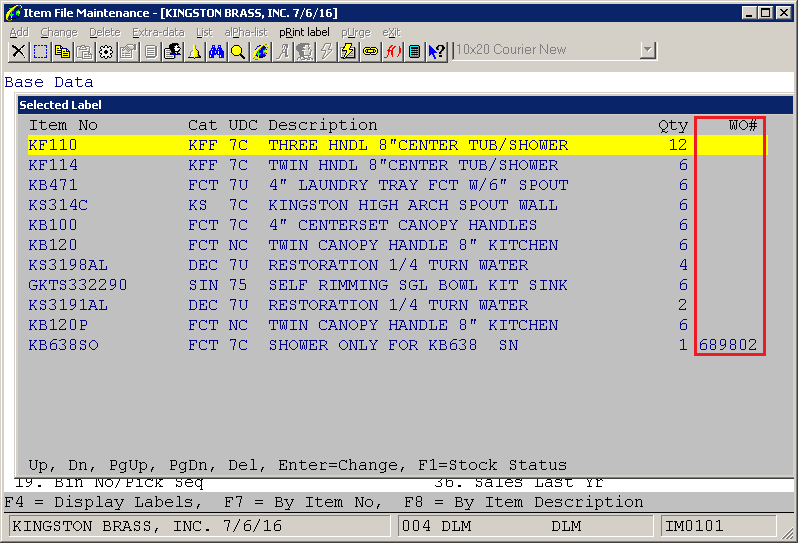 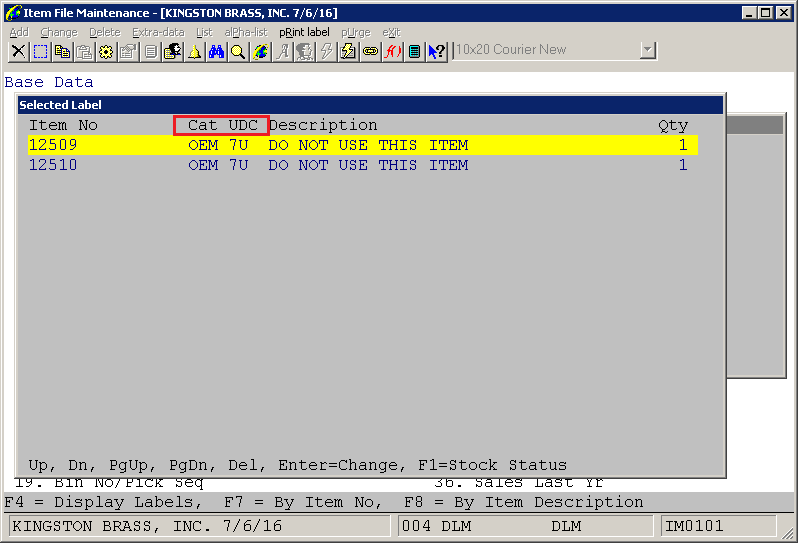 Allow Entering COP SO# With Item by Item Label" is "N" the only change will be the addition of Category and User-Defined code to the Item Label print screen. 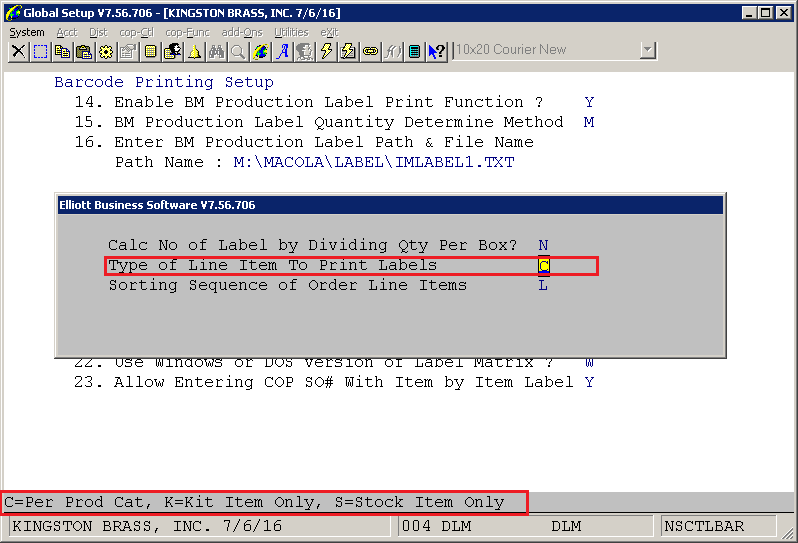 L=Line Number Sequence - this is the current behavior of the program and the items will appear in the sequence they were selected. 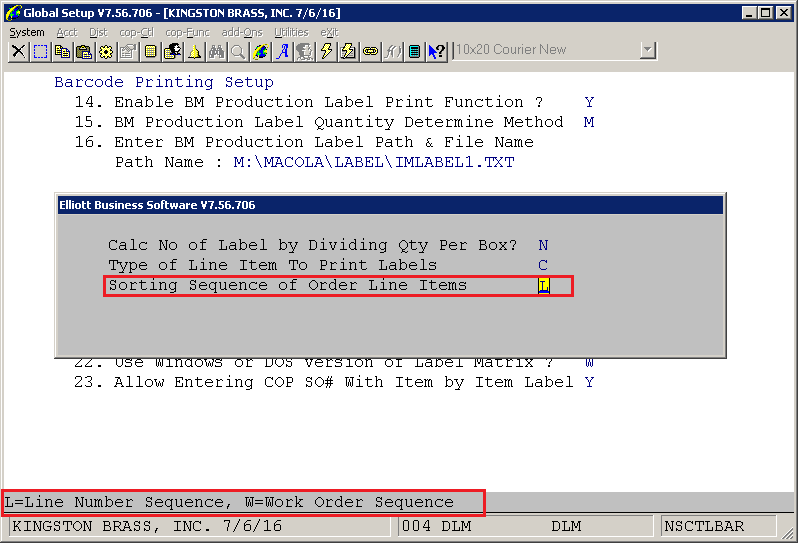 W= Work Order Sequence - the items will appear first by WO# sequence and then by the sequence they were selected.